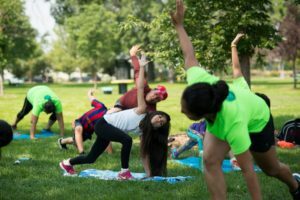 Start your weekend off with our Park Prescription program in Mestizo-Curtis! Participants will partake in physical and mental practices including breath control and specific bodily postures, with a focus on health and relaxation. All ages welcome. Yoga is free. Mats will be provided. For more information, contact Sandy Douglas at 720 621-4912 or email Sandy@GroundworkColorado.org.